Regular top-100 developer tool for over two years! 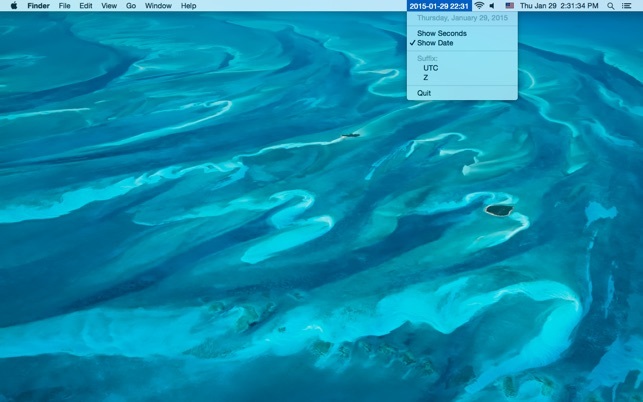 Puts UTC (GMT, Greenwich Mean) time in your menubar for quick reference. Clicking on UTC Bar shows the current day and date in UTC. If you run into problems with anti-aliasing, as reviewer Chris did, please email. I haven't been able to reproduce this problem on any machine but would like to eliminate it for anyone who runs into it. It is a nice simple app, with intuitive choices for setting up what format you want it to use to show the time and date, if you so choose. It does what it says it does. I would have given it a five star rating, but I soon realized that it does not open at login by default which is what I want it to do. After opening the app I realized that it does not have an option to indicate that you want it to open at login in its own preferences. I looked for it in the dock, but it was not there. So neither of those ways that I was familiar with for getting apps to open at login were available. When I came back to the App Store to try to contact the developer to get support in getting it to open at login, I found that Safari could not find the server for either the “UTC Bar Support” link or the "Michael Hasak Web Site” link, the links given on the apps App Store page for the app. It would have lost two stars but I continued my troubleshooting and found that I could add it to my login items by going to the “Login Items” tab of my User Account in the “Users & Groups” window of System Preferences and adding it there. It lost one star for the inconvenience of having to do that, for not being designed to have a simple preference option to choose whether or not you want it to open at login, and for having non-functional links for support. I’ve been using this utility while working through flight plans (it is so nice to have zulu time visible at all times). The developer is very responsive to feature requests, and I’ve never had any issues with UTC Bar. 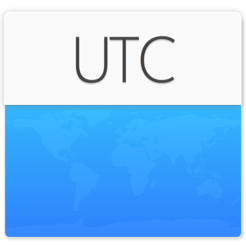 I would recommend this app without hesitation to anyone who needs quick access to UTC time. Thanks, Mike! Nice and simple, but needs more format options. 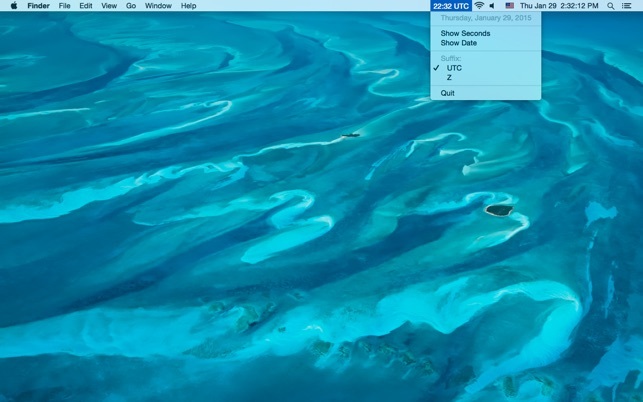 I love that it’s just a simple clock in my menu bar, which I can add “UTC” suffix to. This is s very clean, simple clock to use for referencing UTC time. The main thing I don’t like is that I cannot set it to 12-hour time format.